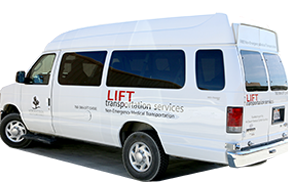 Call us for a ‘LIFT’ to your next medical appointment! The Morongo Basin Healthcare District offers to patients NO COST, non-emergency transportation to medical appointments within the Morongo Basin. The vans are wheelchair accessible. Services are limited to the patient and a caregiver. Age-appropriate child safety-seating must be provided. Services are by scheduled appointment only.